2010 Oscar nominations are Up. The Oscar nominations awards have been released today. All the nominees from best animation short film are European: French roast (France) , Granny O’Grimm’s Sleeping Beauty (Ireland), The Lady and the Reaper (Spain), Logorama, (France) and A matter of Loaf and Death (England). Europe Animation has also been present in the Best Animation Film category with The Secret of Kells (Ireland). Cartoon Saloon, founded in 1999 by Paul Young and Tom Moore, is the company behind this film and is currently developing three new projects: Song of the Sea, Skunk Fu! The Movie and Bluebeard, according to its website. 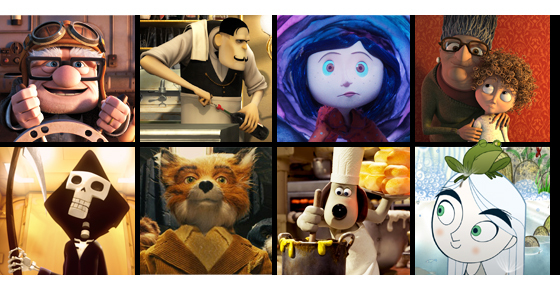 The rest of nominees for this category are: Coraline, Fantastic Mr. Fox and Up which is also been nominated for best film, best writing, best sound mixing and best music with Fantastic Mr. Fox competing for the same award. Today Javier Fesser, Paz Vega and Álex de la Iglesia have announced the nominations for the Goya´s awards on behalf of the “Academia de las Artes y las Ciencias Cinematográficas de España (AACCE)” that will take place next 14th of February in the “Palacio de Congresos de Madrid”. The Goya is the Spanish main national film award. The nominees for best animation film are: Animal Channel, Cher Ami, Pérez, el ratoncito de tus sueños 2 and Planet 51 (also nominated for best song with “Stick it to the Man”). The nominees for best animation short film are: Alma, La dama y la muerte, Margarita and Tachaan. This is the 24th edition of the Goya´s films awards that gives recognition to the best Spanish films released until December of the previous year. The awards have 28 categories with four nominees each. The prize is a bust of Francisco de Goya. The AACCE is also the organization that selects the Spanish film for the chance to compete for the Best Foreign Language Film Oscar’s award. For the complete nomination’s list, click here. 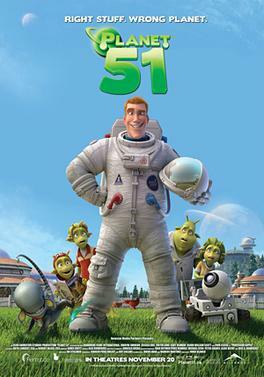 Planet 51 has made over 12 million dollars, according to the Box Office Mojo, during its opening weekend in the United States despite the fierce reviews that had received from most American critics. A month after of its release the total gross of the Box Office mounts to nearly 40 million dollars in the US. Although these quantities are much smaller than the ones big America’s Studios titles achieve; it is, by far, the biggest Box Office result that any Spanish animation film has ever accomplished. 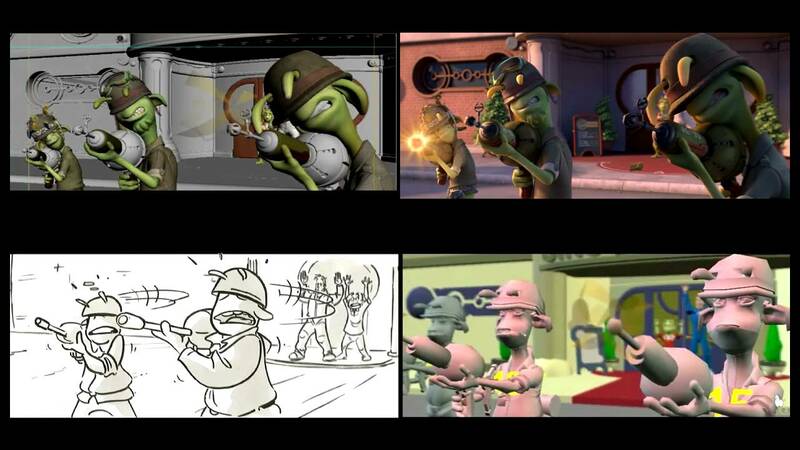 Previous articles on this website have explained how Ilion Animation Studios was created by Ignacio Perez Dolset in the believe that Directors: Jorge Blanco, Marcos Martínez and Javier Abad would be able to deliver a high quality film that would change world’s perception of the quality of animation done in Spain. Avatar: A step forward on computer generated films. Recently released Avatar is a good example of how our entertaining environment has evolved in the past decade. Exciting and ambitious project, even with the guarantee of “Cameron’s name” it took the Fox a huge financial gambling to realize “the current most expensive film ever made” as reported the CNN, which could turn “around the 300 million dollars” according to the box office-tracking Web site boxofficemojo.com. 12 years after the huge Titanic worldwide success, the public and the professionals of the 3D animation industry are expecting James Cameron to fulfill again the high expectations due to his name. Alma, a short film written and directed by Spanish Pixar character animator Rodrigo Blaas, is available online. Alma tells the story of a curious little girl that discovers a toy shop with a doll dressed like her. - What is Pau's World? Pau's world is a series of children's entertainment, full of humour, entertainment that tries to show everyday things that children learn, know and discover with amazement and with great enthusiasm. Pau´s World is located in an imaginary space. Full of clean and relaxing colours. Pau´s World floor is fully covered by an immense carpet, soft, smooth and decorated with lots of pictures and objects that may have all kinds of functions. THE LADY AND THE REAPER shortlisted for the Oscars short film category. The Lady and the Reaper, a short film developed by Kandor Graphics and Green Moon in Spain, is still on the run to win the Oscar for the shortfilm category next March. Today, The Academy of Motion Picture Arts and Societies announced that the list of the short films that still have a chance to win an Oscar have been reduced from 37 to ten. The company behind this shortfilm is the same that has developed The missing Linx, with the support of Antonio Banderas as one of the producers and Raúl García as one of the Directors and writers. The title lasts approximately eight minutes and tells the story of and old woman and her death. It has already won the public award festival and the best original music award at the ALCINE festival in Spain. The final number of the Oscars nominees for this category will be five. You can watch the teaser of The Lady and the Reaper clicking here. 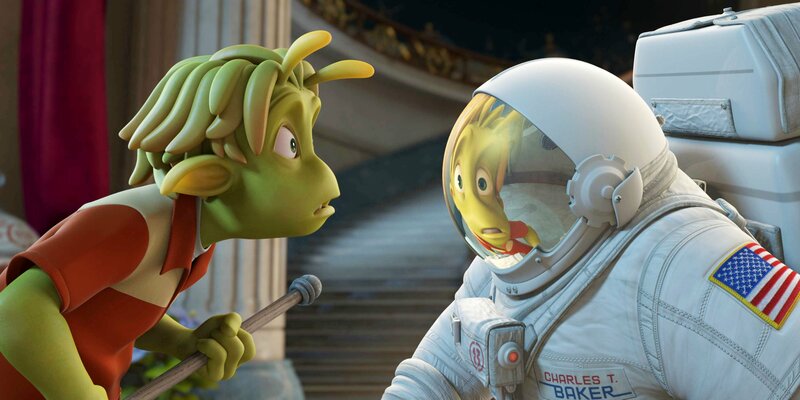 Planet 51 is due to be released on the 20th of November in USA. It has been created by Ilion Animation Studios in Spain, which was founded in 2002, and is the first Spanish movie that has achieved wide international distribution. Sony Pictures is behind it, with around 3,500 theatres in the United States. To put this into perspective: Paramount Pictures released “Up” in 3,886 theatres earlier this year. The movie is the most expensive film made in Spain; with a budget of 55 million Euros. Only Agora comes close to that, spending 50 million euros on the developing of this Spanish live action movie getting in return around 20 million Euros in Spain, where it is still showing. Planet 51 has been four years in the making but very little is known about this multi-million dollar production, however this is about to change as here we unveil everything about the CG production. Ilion Animation Studios is the company behind this $50 million feature film that aims to do what no other company from Spain has ever achieved; to enter the international market of 3D animated films. The movie is being produced by the CEO of Ilion Animation Studios, Ignacio Perez Dolset, and the CEO of Worldwide Biggies Inc., Albie Hecht. The director is Jorge Blanco and the script is written by Joe Stillman who has been Oscar nominated for Shrek and Shrek2. The original idea for the theatrical release comes from Jorge Blanco, Marcos Martinez and Javier Abad (aka Bucho), the director and co-directors of the movie.